What Is a Flu Vaccine Jet Injector? For those who hate needles but also don't want a vaccine sprayed up their nose (or that isn't an option for another reason), there are now more choices for flu vaccination than ever. Alternatives to the traditional intramuscular flu shot are popping up everywhere. From the FluMist to the intradermal flu vaccine, there are options for nearly everyone. In August 2014, another type of flu injection device was approved for use in the United States by the FDA. This device delivers the flu vaccine by a jet injector, which "uses a high-pressure, narrow stream of fluid to penetrate the skin instead of a hypodermic needle" according to the CDC. These devices were actually invented in the 1960s and have been used in mass vaccination efforts in the past. However, they have not been used in recent years and not for the flu vaccine. The flu vaccine that is available by jet injector is called Afluria. It is manufactured by bioCSL, Inc. and is available for adults between the ages of 18 and 64. This is a trivalent flu vaccine meaning it covers three strains of influenza. Currently, flu vaccines provide protection against either three or four strains of the influenza virus. 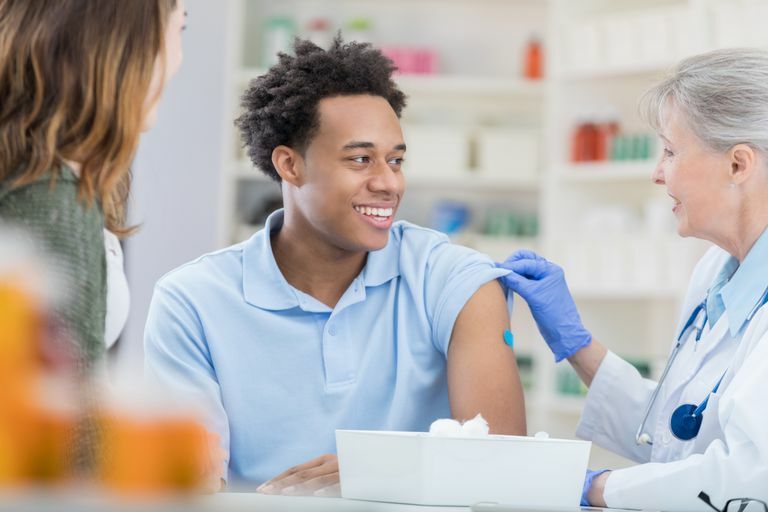 The nasal spray flu vaccine, FluMist, and some flu shots contain four strains of influenza—two strains of influenza A and two strains of influenza B. During clinical trials, side effects of the flu vaccine by jet injector were similar to those administered by traditional injection. Results from clinical trials indicate the jet injection is not any less effective than the traditional flu vaccine. That means that in studies it worked as well as the regular flu shot. Like typical flu shots, efficacy varies depending on the year and from person to person. The jet injector flu vaccine comes in a multi-dose vial, so it does contain thimerosal. Although no reputable studies have linked this additive to any dangerous or concerning conditions (including autism), some people still have concerns about it. The jet injector flu vaccine is not likely to be widely available at this time. It is only available from one manufacturer and is only approved for adults between 18 and 64. Talk to your healthcare provider if you would like this option to see if they have it available. "Flu Vaccination by Jet Injector." Seasonal Influenza (Flu) 19 Aug 15. US Centers for Disease Control and Prevention. Department of Health and Human Services. National Institutes of Health. "FDA Approves Use of Afluria Influenza Vaccine with PharmaJet's Needle-Free Injector." PharmaJet 19 Aug 14. bioCSL, Inc.